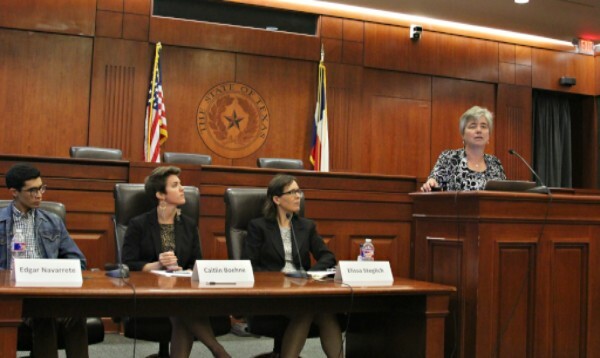 On April 18, the Equal Justice Center and the Transnational Worker Rights Clinic, along with other Texas Law School clinics, hosted an expert forum on the US Supreme Court's potentially landmark DACA/DAPA case styled U.S. v Texas. A panel of legal scholars and advocates analyzed the case's core issues and implications. In that case the state of Texas, joined by 25 other states, U.S. House leadership and 43 Senators, are asking the Court to continue the nationwide injunction imposed by the U.S. District Court and Brownsville and the 5th Circuit Court of Appeals blocking the Obama Administration's DAPA and expanded-DACA programs. The Obama Administration (representing the U.S.) is asking the Supreme Court to remove the injunction, and is supported by 16 states, 225 members of Congress, and more than 500 immigrant rights groups (including the EJC), civil rights organizations, faith-based groups, labor organizations, business leaders, economists, and others. The case is set for oral argument before the Court on April 18, with a decision expected by the end of the Court’s term in June 2016. The expert forum at the University of Texas Law School was sponsored by the Equal Justice Center (EJC), Transnational Worker Rights Clinic, Immigration Clinic, Civil Rights Clinic, Supreme Court Clinic, and the William Wayne Justice Center. The forum began with Edgar Navarrete, a UT senior, part-time paralegal at the EJC, and DACA holder since 2012. Navarrete described how DACA had transformed his life and prospects, enabling him to secure a college education and make plans to go on to law school following his graduation. 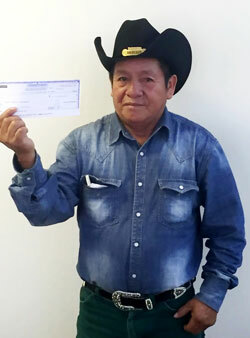 In addition he described how DAPA, if unblocked, would greatly improve his mother’s ability to support their family which includes also Edgar’s little sister, who is a U.S. citizen. Caitlin Boehne and Megan Sheffield, Co-Directors of EJC's DACA/DAPA Project, provided an overview at the forum of the operation and impact so far of the 2012 original DACA program in Texas, based on their work helping more than 1200 young students and graduates obtain DACA across Texas. 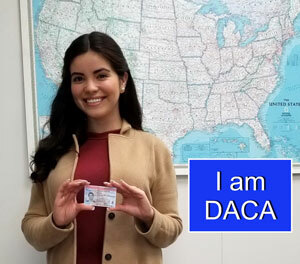 They outlined how that original DACA program, which is not affected by the injunction, has opened up temporary work permits, social security numbers and protection from deportation, for more than 110,000 young students and graduates in Texas, among more than 800,000 nationwide. Boehne and Sheffield also outlined how the prospective expanded-DACA and DAPA programs would work - if unblocked - to extend similar relief to additional students and graduates, and most significantly to parents of American children who are citizens and lawful permanent residents. In addition they discussed the impending challenges of providing legal assistance to the three quarters of a million Texans who would become eligible for DACA or DAPA with the expanded programs. The centerpiece of the forum consisted of presentations by UT Law Professors Lynn Blais, Michael Churgin on the complex combination of constitutional and statutory arguments that are being presented to the Court. Their analyses can be viewed at the video link below. Both Blais and Churgin emphasized that the outcome is impossible to predict due to a number of factors, including, among other things: the malleability of many of the legal doctrines involved; questions about whether and how the Court may apply its previous precedents; the possibility of a four-to-four tie vote due to the current vacancy on the Court; and the awkwardness of possibly leaving in place a highly-contested, nation-wide injunction based on rulings from one district court and one appeals court. The principal presentations concluded with a refocus on the broader social and political context by Clinical Professor, Bill Beardall, Director of the Transnational Worker Rights Clinic and Executive Director of the Equal Justice Center. Beardall reminded the audience that this case is best understood as a critical legal battle in a larger social and political struggle. In addition to merely analyzing and applying legal doctrine, the Court’s implicit larger role is to harmonize our legal principles with our ever-evolving and conflicted efforts to define who we are as a society. The forum concluded with a lively question and answer discussion among the audience and the panelists above plus Professors Denise Gilman and Elissa Steglich of the Law School’s Immigration Clinic.